Are you tired of second guessing your food measurements? Have you had it with wasting ingredients due to not measuring them properly? 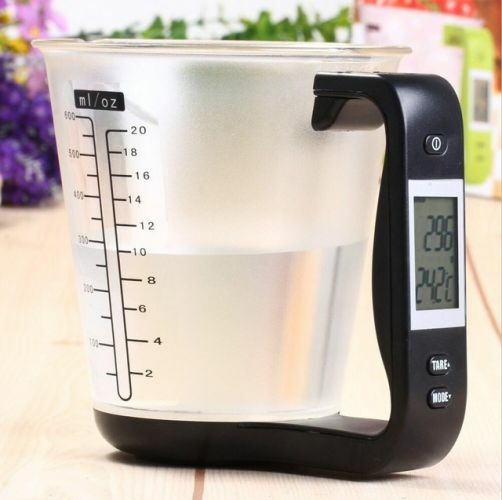 Our amazing Digital Measuring Cup has your back! This cup accurately measures food and liquids with 100% precision EVERY SINGLE TIME! Our innovative measuring cup comes with a built-in scale that weighs in grams, milliliters, cups, ounces, and pounds. How convenient! This cups saves you time and effort. Never be troubled by manual measuring again. Make cooking fun again with the Digital measuring Cup. When you need accurate measurements, the cup won't let you down!